Professional and safe martial art programmes for all the family (4 year old+). 30 Day Free Trial available. Are you looking to try Karate, Kickboxing, Tae Kwon Do, Tang Soo Do or Kung Fu? Come and try a free class with us first, you won't be disappointed! In just your first lesson you will have fun, it will be something you can do and be good at. Plus, you will be surrounded by a whole bunch of people who will inspire and motivate you to become your absolute best at whatever you set your mind to! Please visit the website or phone for more information. This class is fantastic if you are young or old. 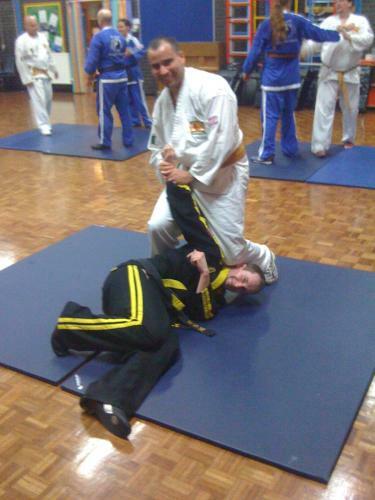 I started martial arts at the ripe old age of 46 and it has improved my fitness and co-ordination no end.The moves are straight forward to learn and before you know it , you can pull off complex moves without thinking about it . Highly recommended. I would recommend this martial arts school to anyone interested in improving their health and confidence. The instructors are professional and encouraging in every way. Give it a go!